The government of Belize seeks to access funds to protect Belize’s natural beauty while growing a ‘green’ economy with the help the Biodiversity Finance Initiative (BioFin) launched by the United Nations Development Programme (UNDP) in 2012, with the support of the European Union and the Governments of Germany, Norway, Flanders and Switzerland. Belize signed onto this global partnership in 2015, and our UNDP partners joined conservation stakeholders and nongovernmental organizations to work on how Belize can stimulate investment to protect the environment, while using our natural resources in a sustainable manner. 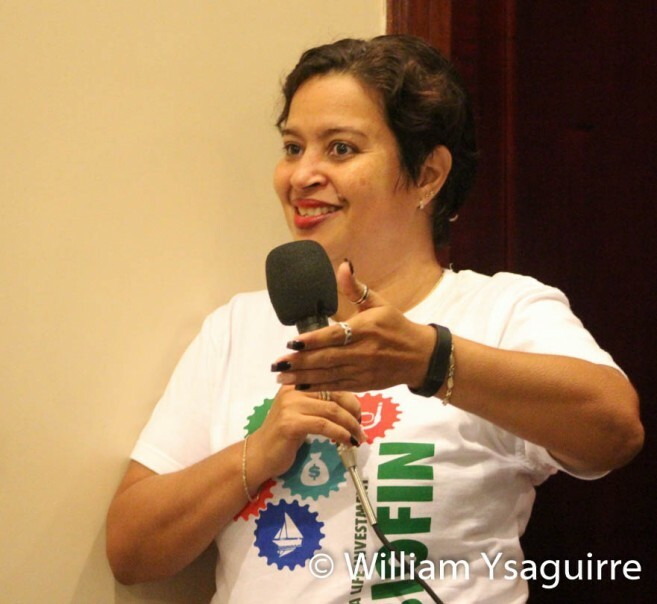 The partners explored the avenues for investment with officials from the Ministry of Agriculture, Fisheries, Forestry, Environment & Sustainable Development at a Biodiversity financing workshop at the Belize Best Western Biltmore Plaza Hotel in Belize City last Thursday, May 11. Minister of Agriculture, Fisheries, Forestry, Environment & Sustainable Development, Hon. Omar Figueroa, explained that not only will the sustainable development of our natural resources provide more jobs, it is key to the future growth of the tourism sector. Belize’s natural beauty on land and sea is the key attraction for most visitors, and it is important that unique attractions like the Blue Hole are not undersold, nor the visitors footprint exceeded, so that these attractions continue to serve the tourist sector for years to come. UNDP programme analyst Diane Wade explained the BioFin initiative, and how its United Nations members have partnered to work out solutions for how to finance investment in the protecting eco-systems to preserve biodiversity. It’s not nice to mess with Mother Nature, and when man interferes with the natural balance of an eco-system, it often has unfortunate consequences for everyone else, including man. Wade noted that historically Belize’s wealth has come from harvesting natural resources such as logwood and mahogany, and today Belize continues to depend on our natural wealth to grow major sectors of the economy such as tourism, agriculture and fisheries. GOB has adopted Biofin’s sustainable economy model, based on natural resources; which means we must not over-exploit our resources – particularly our beautiful Barrier Reef, and we should always be conscious that development on land in agricultural and timber-harvesting can lead to deforestation and sediment run-off which can impact the reef. Belize’s fresh water is also an important resource which we may not fully appreciate for its abundance, but industrial development and farming can contaminate these resources, to our loss. 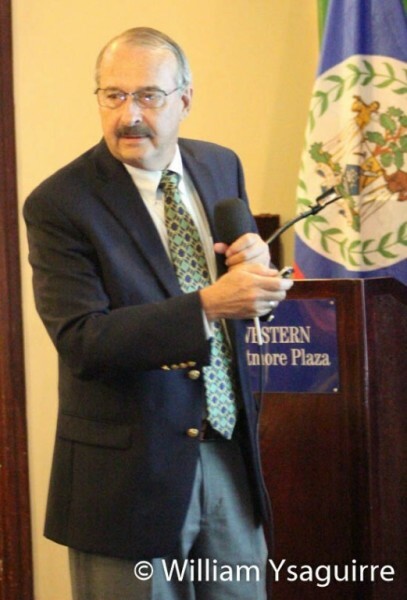 Wade said the timing is right as Belize signed on to the BioFin initiative in 2015, and fulfilling the UN’s 17 Sustainable Development Goals (MSDGs) fits right in with the BioFin model, which supports MSDG No.14 Life below Water and MSDG Life on Land. BioFin can also help achieve MSDG No.1 - No Poverty MSDG No.2 Zero hunger, MSDG No.6 Clean water and sanitation and MSDG No.7 - Clean and affordable energy. Belizeans also want MSDG No.8 – Decent work and economic growth; and we also aim to achieve MSDG No.12: Responsible consumption and production. BioFin’s technical advisor for Belize, Dr Andrew Seidl gave an overview of how BioFin works in other countries: Colombia, Ecuador, Fiji, the Philippines, Indonesia, Nigeria, Peru, Seychelles, Sri Lanka, and South Africa for examples. The U.N. estimates that global investment to preserve bio-diversity should be at least US$150 Billion to as much as US$440 Billion per year. Seidl showed that this princely sum is really only 0.08 to 0.25 per cent of Global GDP. But it is 20 – 30 times more than current global investment to preserve nature. It’s a small price to pay, Seidl showed, as it is miniscule when compared to the total value of the global biodiversity value: US$44 Trillion by the most conservative estimates. Workshop participants also heard from Costa Rica’s former Minister of Finance Guillermo Zuniga, who negotiated one of the largest debt for nature swaps on record – US$26 Million in 2007. Zuniga presented Costa Rica’s experience in developing a National Biodiversity Strategic Action Plan (NBSAP). Guatemala’s Celene Enriquez noted there’s many a slip between the cup and the lip; and that the implementation of the technical advice and getting the appropriate legislation often proved more difficult than at first thought. Colombia’s Juan Avendano also shared his country’s experience in developing the economy while also preserving nature, using nature as a financial asset to attract investment. BioFin Belize’s policy expert Dr. Kenrick Williams led the discussion on how Belize is financing biodiversity, and BELTRAIDE’s Hero Balani examined the possibilities for sustainable investment in Belize’s priority industries: tourism agriculture and fisheries. Representatives of the Belize Sugar Cane Farmers Association, Programme For Belize and the Sarstoon Temash Institute of Indigenous Management (SATIIM) also participated in the workshop.